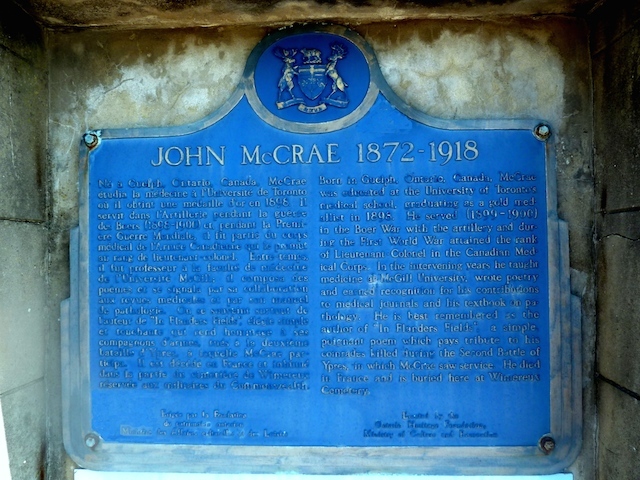 Born in Guelph, Ontario, Canada, McCrae was educated at the University of Toronto's medical school, graduating as a gold medallist in 1898. 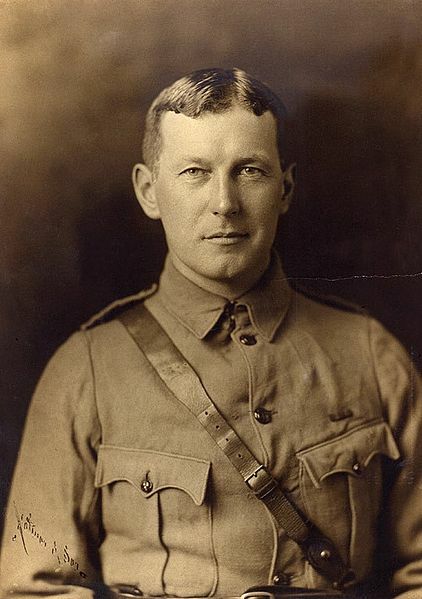 He served in the Boer War with the artillery and during the First World War attained the rank of Lieutenant-Colonel in the Canadian Medical Corps. In the intervening years he taught medicine at McGill University, wrote poetry and earned recognition for his contributions to medical journals and his textbook on pathology. He is best remembered as the author of "In Flanders Fields", a simple poignant poem which pays tribute to his comrades killed during the Second Battle of Ypres, in which McCrae saw service. 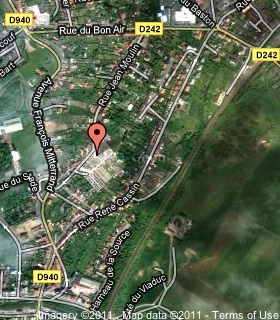 He died in France and is buried here at Wimereux Cemetery.